Along with billions of people around the world, I have been eagerly awaiting the start of the London 2012 Olympic Games. Everything from the athletes' talent and determination to seeing the thrill of victory and the agony of defeat in sport after sport is something that draws me in to the Summer Games every four years. This year, I'm not the only one. Procter & Gamble has been gearing up for the games and, along with celebrating the tremendous skill and hard work of the athletes, P&G is also focusing on the important role that moms play in helping their children reach their full potential. 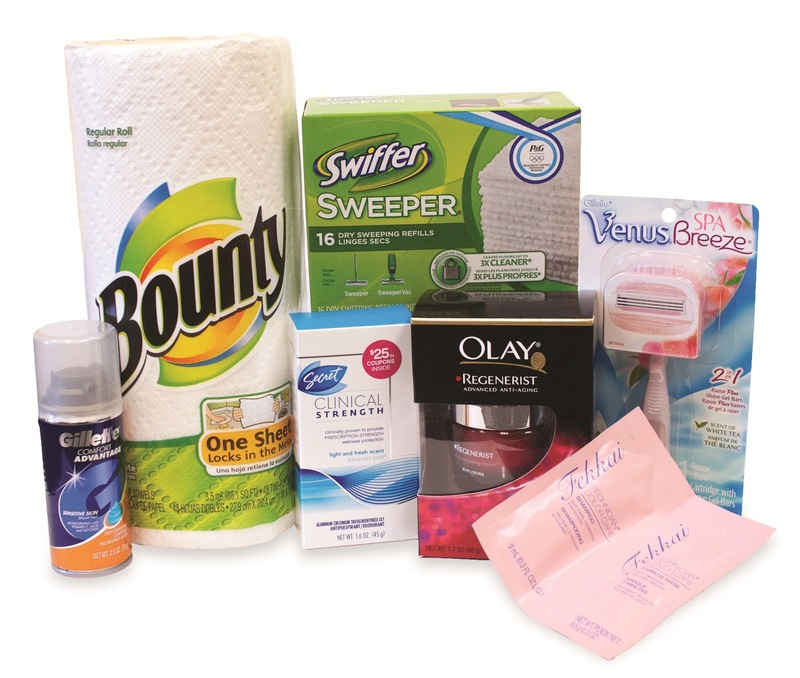 I love that, as the Proud Sponsor of Moms for the London 2012 Olympic Games, P&G wants to be sure that we say "Thank you, Mom" to moms around the world! 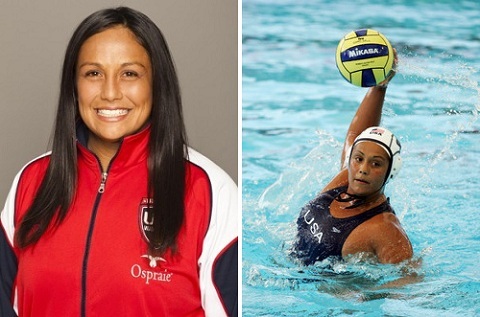 While the moms (and dads) of all of the Olympic athletes deserve recognition, one star that Procter & Gamble is particularly proud of is three-time Olympian and World Champion Water Polo Player, Brenda Villa. As Brenda and her mom, Rosario, have headed off to London, it is easy to see that the choices that Rosario made for her daughter have had a major impact in where she is today. After enrolling her daughter in swim lessons more than two decades ago so that she would learn to be safe in the waters of Southern California, Rosario has never looked back. As Brenda began to excel at water polo, her mom, a Mexican immigrant, always encouraged her to pursue her goals and dreams in a completely unfamiliar sport. When raising children, especially athletes, Rosario gives this advice to moms: "Encourage them, support them and allow them to follow their dreams. Make sure you give them the confidence to follow their own values and beliefs and stay true to themselves." Having received such great support, Brenda appreciates all that her mom has done for her: "My mom is my number one fan. She got me started when I was eight years old and was there for me every step of the way. She was always cheering me on and that I'll always be grateful for." One lucky person will win a P&G Prize Pack*! The guy at the skateboard shop for getting my sons skateboard together. My husband who just sent me flowers just because. The sweet intern in our office who always holds the door! I said thank you to my teenage son last night for washing dishes! I say thank you all day long to my patients. When I was working yesterday I said thank you to plenty of customers for visiting the store. My grand daughter who just hugged me. I said thank you to an online friend who helped correct my spelling on my someday book. To the kids who held the door for me when i dropped my kids off at camp. to my granddaughter for checking on me this morning. i have been having seizures and she comes in from playing to make sure i am ok. The lady who helped me price out new kitchen cabinets this morning! She was so helpful. my co-worked because she helped me with a document. I thank a bunch of people everyday. I thanked the cashier when I ws buying my lunch today. Wow! I say thank you all the time! I said thank you to my friend just yesterday for being there for me, I said thank you to my parents. I told my friend thank you today, because she had sent me a card in the mail. The fedex dude for dropping off my new sandals. I thanked my son's pre-school/camp teacher for taking good care of him at camp today! I just thanked my son for helping me cut the grass. i thanked a co-worker for helping me proof an email. I thanked my husband this morning for taking out the trash. I would thank my family and friends, for being in my life and always supporting me. I thanked my friend for always thinking of me. I thanked my mom because she is always there for me and my bestfriend. i said thanks to the bus driver! My BFF for giving me a ride to the store. My neighbor gave me a new coat and booties for my dog, which she found at a yard sale. I said thank you to my 3 year old for being a good listener! I thanked my chiropractor for a great adjustment and advise. I said thank you to my husband for cooking the family a delicious supper. Thanks. I said thank you to my kids for helping around the house. I said thanks to my daughter for loading the dishwasher for me. The last person I thanked was my son who did me a favor when I asked. My son because he is alway doing something nice. I said thank you to my mom for lunch. My roommate for taking me out to dinner. I said THANK you to a DIL for having the cousins spend the night at HER house last night, they had been here at Gramma's for an extended visit and oh boy how nice it was to have a quiet evening and morning.... God Bless the kids, I love them, but when they are here for weeks, it sure brings it all back to me about why I do not suffer from empty nest, but enjoy it. My 2 yo daughter because she handed me something I dropped. The Flexibility class instructor for leading the class through stretching after my Ultimate Physique workout. I thanked my Mom for getting something for me today. I thanked my husband for raking the lawn. To my grandson for offering to help me out of the restraurant. I told my husband thank you for bringing my dinner to me. I said "thank you" to my twelve year old daughter for her help today. I said thank you to my son because he watered our garden. I said "thank you" to a lady at my gym today who encouraged me when I was feeling down. My friend Janet for spending a great day with me today. I said thank you to a man at work because he held the elevator door for me. My brother because he offered to watch my daughter. I thanked my grandson for helping me takee the garbage out. My 15 month old son because he shared his breakfast with me! for a friend that babysat while I went to a viewing. My husband - who took me out to lunch. I thanked my fiance for bringing me my water when I asked him. I thanked my son for offering to help me with some yard work tonight. I said thank you to my toddler son who told me he would be my big helper because I'm sick :) He is so sweet! My daughter for all she has done for me. I said thanks to my boss when he handed me my mail. I said thanks to the teacher I work with for recommending me for a job. my mom! because she cooked me dinner! I thanked my brother today for helping me out on the computer. I thanked my mom for understanding that I overpromised to come tonight and can't be two places at once since the ballet was already on my slate. My husband this afternoon for cutting the watermelon! My om. My husband made me cry and she made me smile. My husband. Because he stood up for what was right at work, and while we ended up laid off over it, he held to our convictions. He is a man of integrity and honor and I told him thank you for it. my husband for taking care of the kids and giving me a " day off"
I said thanks to my grandson yesterday for helping carry things into the house. I said thank you to my husband for letting me take a nap. To my neighbor who told me I dropped a paper I needed. Thanks! I said thank you to my husband this morning for taking out the trash. My daughter for folding the laundry. I thanked my neighbor for her generosity! I thanked my brother for treating me to dinner. Maintenance man at work. He hung up some art on my office wall. The last person I said Thank You too was my husband, because he got me a pop when I woke up from my nap. He's so sweet sometimes. I told my daughter Thank You for cleaning her room! I said "Thank you" to my Mom for inviting us over for dinner tonight! My baby girl, I thank her every night for joining our family. I thanked my son for unloading the dishwasher. My daughter-in-law for letting me talk to her father-in-law on the phone. I last said thankyou to my mom who made us dinner yesterday! I thanked my co-worker for opening the door for me this morning. I was in the grocery store and helped a man in one of those electric grocery carts find where the tomatoes were and got them down for him. He said thank you for helping me out!! I last said thank you to my husband who made the bed this morning as a surprise! He never makes the bed for me. I said "thank you" to the guy that held the door open for me this morning when I was picking up breakfast at Panera. My mother when we went out to eat and she paid for my food. i said a thank you to my husband because he went & bought me a hot fudge sundae last night! My boyfriend, who surprised me with fresh-baked cookies last night! my mother in law for watching my boys this morning. I just said thank you to my daughter less than 5 seconds ago! I thanked my co-worker when she bought me a burger. My kids for taking out the trash. My neighbor for helping me earlier today. A customer in the store I work in who tipped me for taking the labels off their sunglasses and cleaning them! I just thanked my husband for taking out the garbage! I thanked my boyfriend for being great. My husband, I can't remember why but he deserves a lot of thanks!! My husband, for letting me sleep in 30 minutes after the baby woke up! I say thank you to my mom every day, just for being there and helping me. I told my husband thank you for making me dinner tonight! My 4 Year Old because I gave her milk! Such a polite kid! The ups driver for delivering a package! My Apartment repair guy for coming out on Sunday and repairing my sink. My mom for calling and checking in on me and the baby. my hubby for washing the dishes....love that! I SAID THANK YOU TO MY HUSBAND WHO ALWAYS OPENS THE DOORS FOR ME. HE'S A SWEETIE. my mother...for buying us dinner! My granddaughter for doing the dishes. I last said "thank you" to my daughter for bringing her plate to the sink after dinner.